It is of paramount interest to introduce children already at the early stages in primary school with the first basic principles of technology. 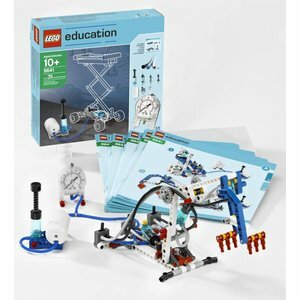 To that end LEGO Technic Education carries several LEGO Sciency & Technology sets within its range. Students learn in a progressive way and step by step the technical fundamentals and basic principles of machines and mechanisms. After presenting simple machines, compound machines are being introduced and even motorised models come to play their role. In the last 2 classes of primary schools, themes like Energy and Pneumatics are being studied. 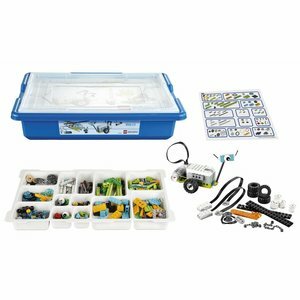 The LEGO Simple and Powered Machines 9686 set from LEGO Education offers children a complete solution for exploring design engineering and is delivered with a very complete curriculum pack in full-colour. 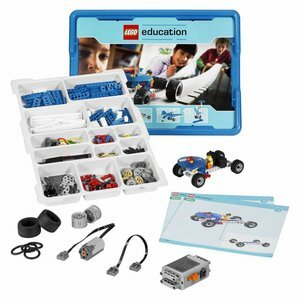 The LEGO Education 45300 WeDo 2.0 core set is delivered with all the software, curriculum, smarthub, sensors and medium motor to start designing, programming and building your robotic models. 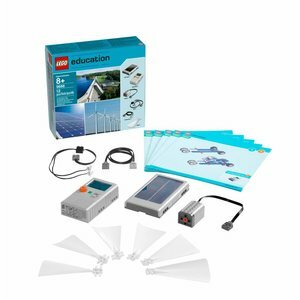 With the LEGO Education Renewable Energy Add-on Set, children learn and understand renewable energy sources like hydro-energy, solar energy and wind energy as well as the technology behind hydro power plants, solar cells and wind turbines. 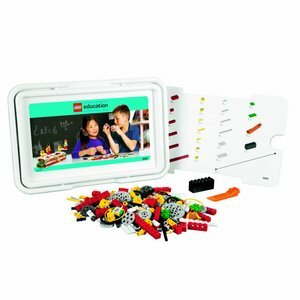 LEGO WeDo 2.0 Smarthub. 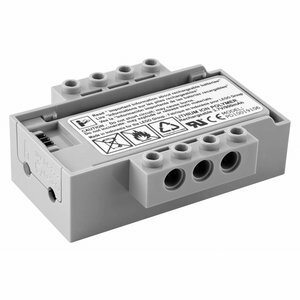 This lithium-ion polymer battery is designed for use with the WeDo 2.0 Smarthub, provides longer run time than AA batteries, and requires a charge time of approximately three hours.